Robert Haldane is an author and historian based in East Gippsland, Victoria. He served in the Victoria Police Force for almost thirty-four years, retiring at the rank of superintendent in August 2001. 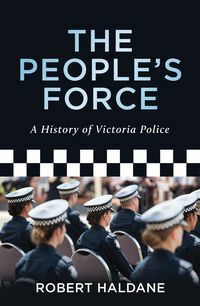 In addition to extensive operational experience as a uniformed officer and detective, his police career included positions as a staff officer, industrial relations officer, research officer and editor of the Victoria Police news magazine Police Life. In the world after the force, Robert has been involved in regional development, a deputy mayor, a food reviewer and food writer, and a contributor to lifestyle magazines and history journals.